I already wrote most of the following article (actually more, including making screen shots) before I did that. But in the interest of not having wasted that time, let me explain how to get the new Microsoft Office fonts in LibreOffice (or the older OpenOffice) and why it is illegal to do so under non-Microsoft OS'es like most phone, tablet or Linux systems. Windows users can just install MS Powerpoint Viewer to get the fonts, see link below! Anyway, enough ranting - a solution. 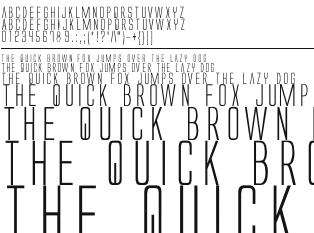 If you don't have the new Microsoft fonts like the new Win7 fonts including the often-used Calibri, you can start to search the web for obscure download sites where, after you decided not to enjoy some online casino, enlarge a body part or clean your computer from viruses, you might find potential candidates in zip or rar form. Luckily, there is a better way - get the stuff from the source. Install the free Microsoft PowerPoint viewer with Wine. Serious! You can get it here. 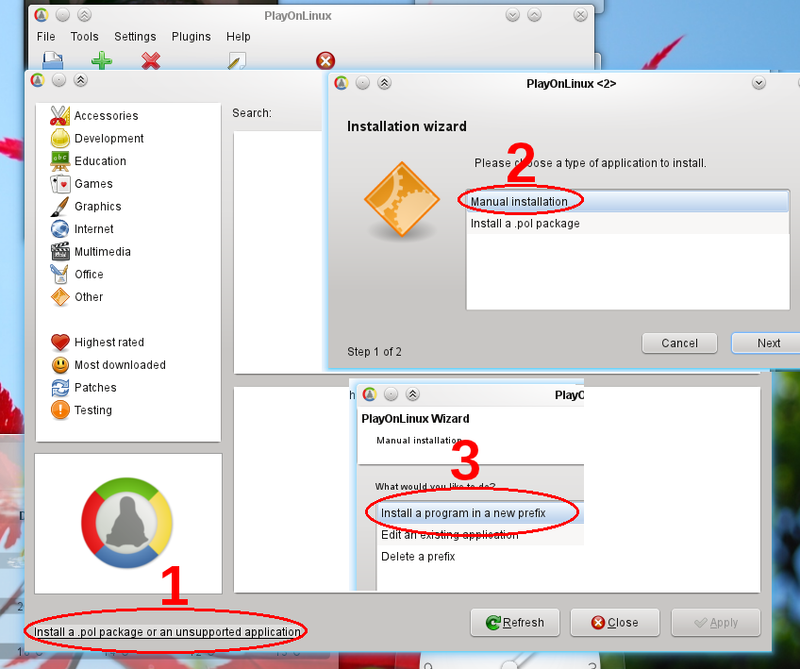 The second image in this blog shows the three major steps you have to go through to install this using PlayOnLinux (plain wine might not work but this does). In the end it shows a selection dialog which you have to point to the executable and the font files would obviously end up in C:\Windows\fonts of the PlayOnLinux map (~/.PlayOnLinux/). 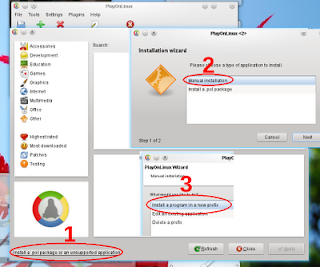 To install them, navigate your file browser to ~/.PlayOnLinux/wine/C/Windows/Fonts, right click the font and choose under 'actions' for 'install'. If your file browser isn't decent enough to help you with this, find a font manager with "alt-F2" "font" in a Plasma Desktop or "win key" and "font" in a GNOME Shell. Then install the fonts via file manager or font manager. Obviously, Windows users install the PowerPoint viewer and it will install the fonts automatically, or they similarly extract them from the installer. You may use the fonts that accompany the PowerPoint Viewer only to display and print content from a device running a Microsoft Windows operating system. And of course I only discovered this AFTER doing it (works fine) and writing this article. Is that license clause even legal? Easier way: Use cabextract to unpack the installer and get the fonts. As a work-around, your could manually choose more fitting replacement fonts than "Alien Leage" in LibreOffice. you mean "after writing this post", right? about the fonts, it's ironic that they go into this sort if stuff when we all know where Arial came from and why. Well, the problem is that MS Office has actually become quite good. I've been testing all of them, LO/OO.o and KOffice on Kubuntu and MS Office on Windows. And I have to admit that it is simply quite good. Easy, even fun to use (at times ;) ). Still, I'm strongly hoping for Calligra *thumbs up* would love to be using it... in comparison to KDE, Windows desktop itself is simply rubbish. "Looks like Redmond lost confidence in their own products long ago... "
Huh? What a random conclusion. "Huh? What a random conclusion." There are (IMO) better fonts available which are free (both as in speech and beer). For roman ("English") serif and sans serif, try Linux Libertine and Biolinum. I think the solution is making default fonts look better and also put in a replacement font for calibri which fits the same space, not necessarily looking like it, but at least not messing with format. But yes, using a font which is not usable in any other environment is playing dirty. It may be illegal according to that... but it doesn't STOP you from using them, or am I mistaken? I pirate software and music all the time. If I can do it, I do it. But can these fonts be used, illegally or not? You didn't elaborate on that. PlayOnLinux also comes with some Microsoft Fonts as one of your options to install. How are these different from the ones in PowerPointViewer? And for those of us who still want to import them, what do we do after installing PowerPointViewer? This is why ODF should recommend, and LibreOffice ship, with a base set of fonts between all platforms, distros, suites. To at least mitigate this issue somewhat. Even if the user doesn’t use them, you know any files sent from LibreOffice should look the same to everyone - they have the fonts already! After installing the powerpoint viewer you need fo find it's Windows Font folder. Something like ~/.PlayOnLinux/wine/C/Windows/Fonts or so. Then right-click the font you want to install, choose Actions - Install (in the Dolphin filemanager). Or use a font manager - use KRunner to find the Font manager (alt-F2 "font") or search the GNOME menu for a font tool.